GinaMaria Opalescent is a Certified Oracle Guide. She offers Oracle reading sessions in person or via private video conference. 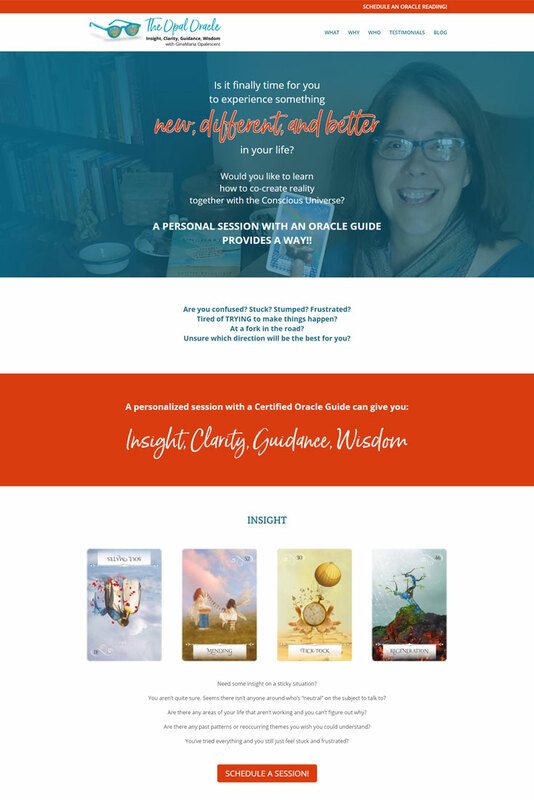 Create a “breathtakingly beautiful” website that encourages visitors to book an Oracle session.